Click the button below to add the Skin Calming & Healing Lotion #Skin Products# to your wish list. Use For Dry, Irritated Skin and Rash. Instantly calms your skin with nutritive botanical extracts such as Licorice Root, nutrient rich Tucuma butter with skin healing Rosehip Seed oil that goes deep down below the surface to help provide moisture that lasts. Blended with Aloe Vera and Vitamin B5 this nutritive lotion transforms dry, itchy or rough skin into soft and healthy looking skin. Enhanced with ingredients such as Oregano essential oil and Karanja. Orange Peel Oil provides a light nutritive citrus scent. Helps restore skin hydration and moisture levels with long-lasting moisture. Our Lotion is a Non-medicated, Mineral Oil free, Petrolatum free, Fragrance-free and Steroid free nutritive alternative that works at providing a long-lasting solution. 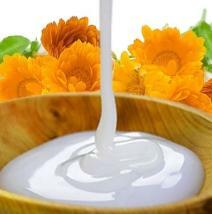 Rosehip Seed, Sea Buckthorn, and Andiroba oils are vitamin rich moisturizers. Grape Seed Oil contains Vitamin E, proteins, minerals and linoleic acid that nourishes the skin. 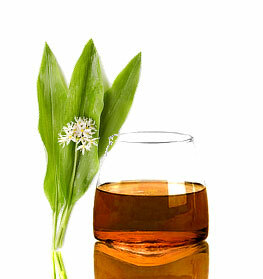 Andiroba Oil treats the skin from irritation, inflammation, and dryness. Tucuma Butter is rich in polyphenols, which fight free radicals, protects and moisturizes the skin. Almond Oil is a lightweight oil that gently pulls out dirt and debris from skin pores while providing moisture. • This Lotion can be applied daily. • Can be combined with any of our other skin products. • If you are looking for a body wash, we suggest our Skin Nutritive Calming Body Wash.
Aloe Barbadensis (Aloe Vera Hydrosol), Rosa Rubiginosa (Rosehip Seed) Oil, Vitis Vinifera (Grape Seed) Oil, Carapa Guianensis (Andiroba) Oil, Astrocaryum Vulgare (Tucuma Butter), Prunus Dulcis (Almond) Oil, Cocos Nucifera (Coconut) Oil, Hippophae Rhamnoides (Sea Buckthorn) Oil, Persea Americana (Avocado) Oil, Pongamia Glabra (Karanja) Seed Oil, Glycerin, Behentrimonium Methosulfate, Cetyl Alcohol, Myrica Pubescens Fruit Wax (Laurel Wax), Sodium Lauroyl Lactylate, Origanum Vulgare (Oregano) Oil, Allantoin, Glycyrrhiza Glabra (Licorice Root) Extract, Caprylyl Glycol, Panthenol (Vitamin B5), Tocopherol (Vitamin E), Citrus Sinensis (Orange) Peel Oil. This skin calming lotion is very easy to apply as it penetrates quickly into my skin which is a big plus. It hydrates and moistures my dry skin. I don’t know how to explain this but it feels and looks like I did not apply any lotion to my skin, no waxy or sticky residue left behind... it feels like I’ m feeding my skin! I like how the scent is light and how soft my skin feels. This lotion has helped me when I have been sunburnt. This will be my second bottle and love, love it! I apply the lotion every few hours for the first few days after sunburn, and then once a day. It has enabled me to turn sunburn into a tan. Many people have noticed and complimented my skin tone. Best thing is that this is all botanical so I am not using harsh chemicals on my skin. Highly recommend this moisturizer! I highly recommend for those of us with exceptionally dryer skin and need a more effective moisturizer. I have environment allergies and constant dry itchy skin. It absorbs readily and I appreciate that it is fragrance free. Does a great job moisturizing and helps with the itching. This lotion does it all. I have extremely sensitive skin that would constantly feel dry and get itchy. I have not itchy anymore. No more red spots, no more waking up at night with an itchy skin. Very thankful for this lotion! No more itching, no more rash. After having a mastectomy my skin has not been the same. I read what this product can do and I could not believe it could help me. But, I was willing to try anything after Doctors prescribed creams, and powders did not work. I received the lotion and I was just waiting for it to fail. I could not believe that after applying the lotion (cream because it's not watery) The itch under my remaining breast stopped. My arms and hands are smooth and not feeling coarse like before. Even my hands look so smooth and to my surprise they do not look like a 79 year old hands. This product is amazing!! !